GST implementation will act as an ERP system for country as we are having ERP system in our organization. It’s simply a step which will link our company’s ERP system with Government ERP through Harmonized System of Nomenclature (HSN) and Service Accounting Code (SAC), says padmesh Gupta . Each and Every transaction of materials and services in the country shall be linked from one company/organization to other company/organization through HSN and SAC. Benefits Reduction in multiplicity of taxes Simpler tax regime and Transparency in taxation system Mitigation of cascading/ double taxation , More efficient neutralization of taxes especially for exports Development of common national market ,Fewer rates and exemptions, Distinction between Goods & Services no longer required, Reduction in prices of goods & services due to elimination of cascading Uniform prices throughout the country and Increase in employment opportunities are many benefits which country will reap, says padmesh Gupta . Also it’s exhilarating to note that GST has lowered down the price of coal, and coal industry will see massive growth in this sector. 5 % GST on Coal will make power supply more cheap . 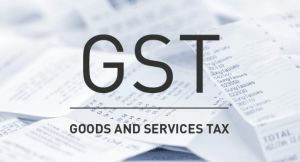 The entire range of GST has been introduced to bring down the cost of goods and aimed at “ one nation “, one Tax to reduce confusion and corruption . The coal sector will be benefited immensely and its positive outcomes will be passed to consumer , says Padmesh Gupta , CMD, Gupta Coal .